Why is WiFi Speed Slower Than Wired? Point to Point wireless solutions. It’s hard to give specific advice without knowing the specifics of a given project, but there are some guidelines and considerations one should know before planning an outdoor networking project. 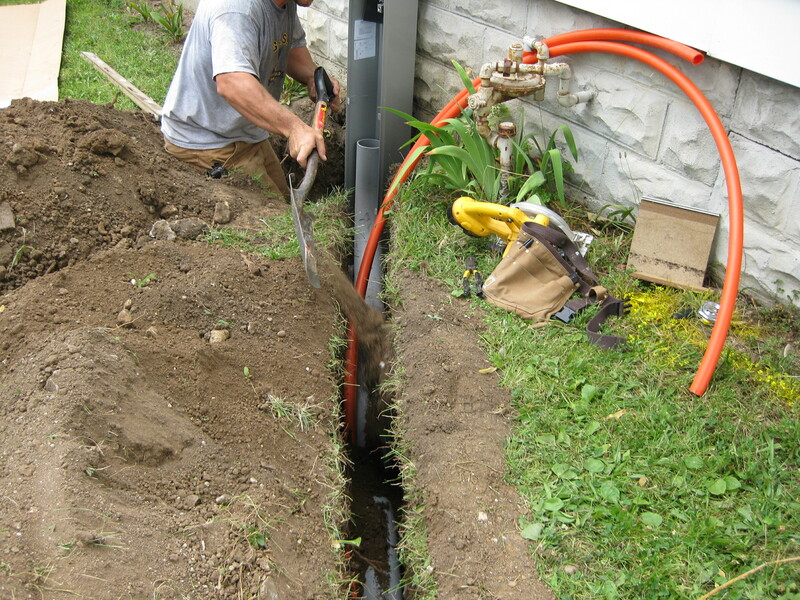 First, the gold standard by which we judge all others is buried conduit with fiber optic cabling between your sites. Conduit offers the best physical protection, and its possible to pull cabling in future without digging again. Fiber Optic cabling is the best distance tolerant carrier for data. Ethernet Cabling (Cat5/6) is rated up to 100m, and most installers don’t like to get anywhere close to that maximum. Fiber Optic cabling on the other hand offers distances measured in kilometers or miles, and data rates that can be ever-increased by changing the equipment at both ends. If you are planning new construction, the marginal cost of adding the conduit makes it the no-brainer go to choice. You already have the crew and machinery to do it on site to build your building anyway. Copper, which is a compromise solutions for back-haul use (as a main communication trunk), has it’s uses. Including to hook up external equipment, like a PoE camera, digital sign, or outdoor wireless equipment. Ruggedized cabling is for when burying conduit isn’t an option for some reason (budget, probably), or you aren’t burying it at all, but running it along a wall or something otherwise exposed to the elements. Some is rated for burial, some is meant for outdoor use. for when nothing else will work, or is in budget. Don’t run a wire at all, point two specialized wireless antennae at each other and let them emulate a wire. Compared to an actual wire run, P2P wireless is slower, adds latency, is subject to interference, adds to ambient radio noise, has more hardware/software involved (chance for failure), is inherently less secure, and in general inferior in every way except one. Point to Point wireless is popular because it’s cheap and simple. Buy two devices for $99-200 a pop, mount on your buildings and point at each other. Let some software do it’s thing. It doesn’t involve a trenching machine, bending conduit, etc. and it’s usually good enough for most people, most of the time, for casual use.